I’m pleased to announce my collaboration with the author on the publishing of “How to catch a fish” by Ross Waters. 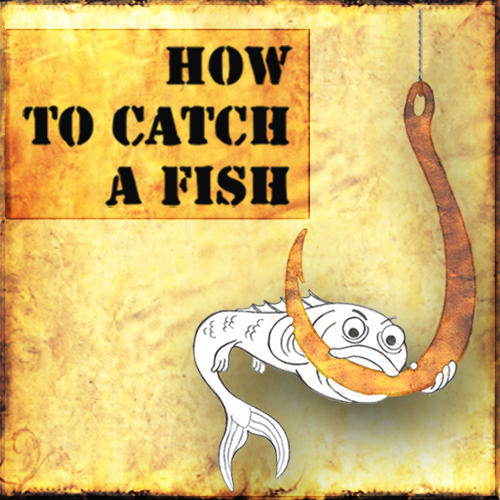 ‘How to Catch a Fish’ is the ultimate kick start for anybody interested in catching fish. Never before has so much information been condensed into such a wonderfully coherent and understandable way. Volumes of useless details have been slashed in favour of nailing down the crucial ‘need to know’ basics that will enable the reader to enjoy this age old sport to the full. Every scrap of information in this book is useful and worth knowing. Subjects covered are different types of fish, all you need to know about equipment, bait, location and other worthwhile subjects. There is no useless waffle within these pages. After reading this book the complete beginner will be exceedingly well equipped to head into the great outdoors and start catching fish. Ross approached me towards the end of last year about the book he’d written. He wanted some assistance in publishing the book but had no idea where to start and wanted to avoid the traditional route of approaching a major publisher for the process. We kicked of the project a few months back and I’m pleased so say that we well on our way to the book being available in August via a custom built Drupal website, print, via Lulu.com and Amazon, and also electronic devices such as the Amazon Kindle, Android devices, iPad and iPhone via iTunes. My involvement is from a technology advisor and project management perspective. I’m guiding the decisions on the technical aspects of the document, delivering it online and in print, putting together the creative and technical team, managing them and the project itself. Notably all text and artwork for this book are Creative Commons licensed.